Intraoral scanners feature a wand, which easily moves around a patient’s mouth. The wand captures thousands of frames per second which are pieced together to create a three-dimensional visualization of the patient’s mouth. 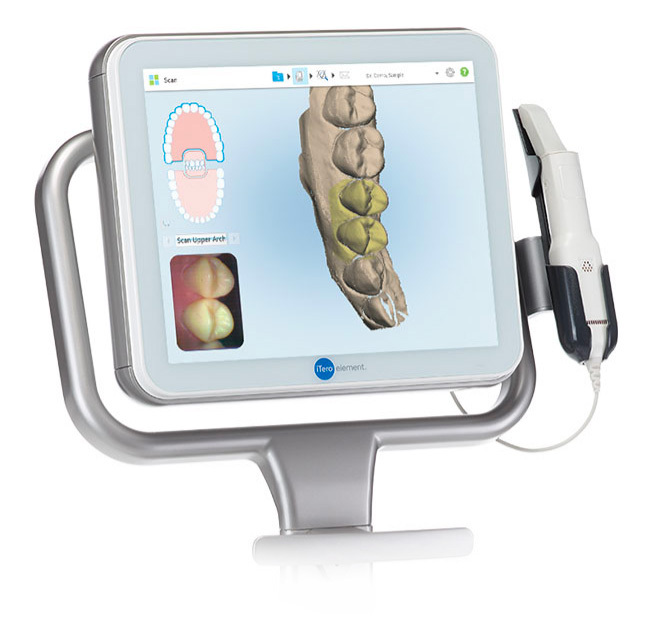 Our team uses the iTero IntraOral camera which allows us to capture clear, exacting images of your teeth, gums, and bone structure to help us to precisely diagnose your treatment. The resulting images are clearer and more defined than traditional x-rays, which aids us in determining the precise fit needed for crowns, bridges, Invisalign, and much more. It also means less time and discomfort than with traditional bitewing x-rays. We can also print these images for review by specialists, laboratories, or insurance companies.